Islamic civilization flourished in the Middle Ages across a vast geographical area that spans today's Middle and Near East. 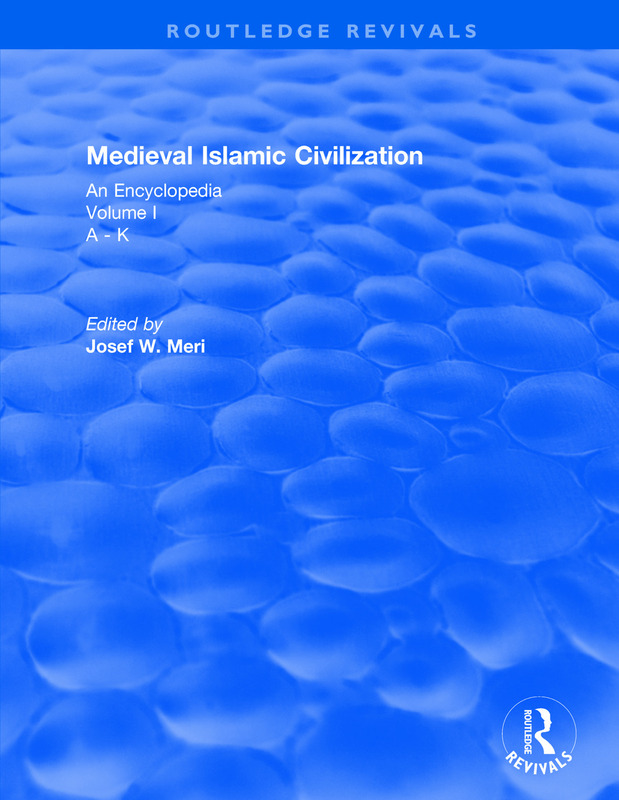 First published in 2006, Medieval Islamic Civilization examines the socio-cultural history of the regions where Islam took hold between the 7th and 16th centuries. This important two-volume work contains over 700 alphabetically arranged entries, contributed and signed by international scholars and experts in fields such as Arabic languages, Arabic literature, architecture, history of science, Islamic arts, Islamic studies, Middle Eastern studies, Near Eastern studies, politics, religion, Semitic studies, theology, and more. Entries also explore the importance of interfaith relations and the permeation of persons, ideas, and objects across geographical and intellectual boundaries between Europe and the Islamic world. This reference work provides an exhaustive and vivid portrait of Islamic civilization and brings together in one authoritative text all aspects of Islamic civilization during the Middle Ages. Accessible to scholars, students and non-specialists, this resource will be of great use in research and understanding of the roots of today's Islamic society as well as the rich and vivid culture of medieval Islamic civilization.